Heart to Get Classic necklace collection is a collection with everything you always wanted. Necklaces with a cute little symbol, to spread out love and happiness. 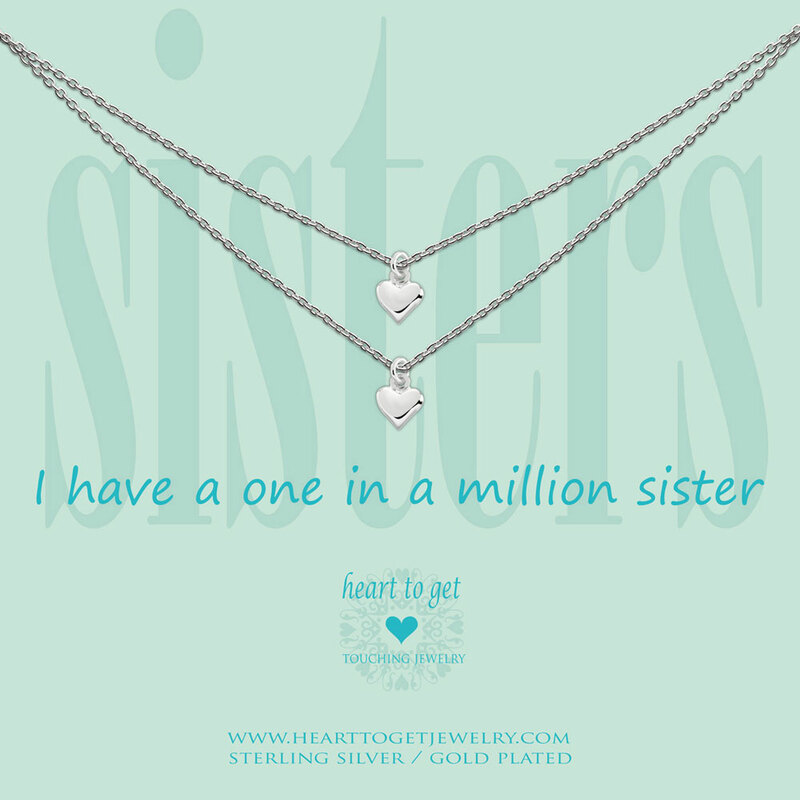 This necklace wears the message ‘Best friends, I love to share my heart with you’. A necklace to share with your sister. Length of the necklace: 40 cm + 4 cm extension. Available in silver, gold plated or rose plated. We love necklaces! You can wear as many necklaces as you want. Mix and match Heart to Get collection necklaces together. Make your necklace up to 6 cm extra length with an extension.